Uncle Andy got married this past weekend. 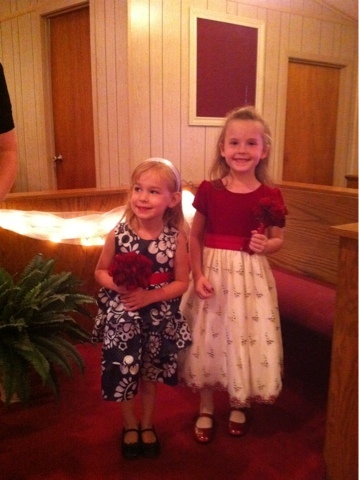 This was Alice's first wedding and she got to be a flower girl. She did a fantastic job even though she had a hard time staying quiet and still up front with the wedding party during the ceremony. It was a special day for all and Alice was excited to get a new Aunt... Aunt Jen. It was a sweet wedding and Alice looks beautiful. She did sooooo good as part of the wedding party. Very proud of her.